Is it sad to still be into dinosaurs at my age? NO, NO IT ISN’T. Here’s some of my favourites to get you hooked. As a child I absolutely loved dinosaurs, nothing unusual about that, most kids love them because they look mental and could eat you. And also they were super hard. What is more unusual is that I never really grew out of it. If you say to someone as an adult that you’re into dinosaurs they’re likely to think of you as some sort of semi-developed moron with an Oedipus complex. Personally, I don’t think that’s fair. It’s a valid science, just like archaeology but older. 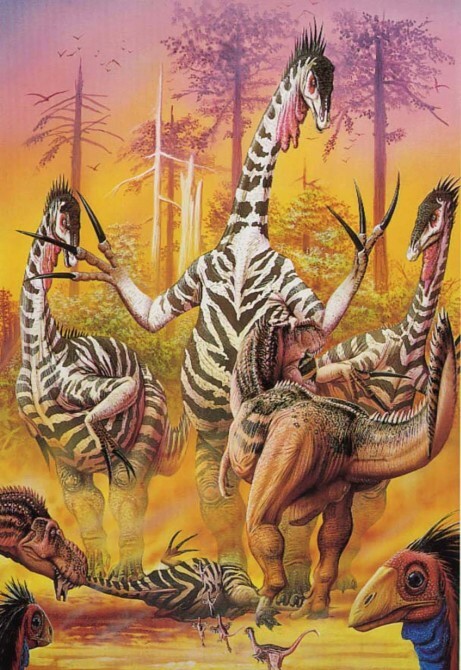 Dinosaurs were real damn it. Just because we played with them as a child does not make them silly. These behemoths wandered about where you sleep. They swam in the same oceans you swim in. They puked, pooped and fornicated just like you. Well not just like you but you get the picture. Before I bang on about these mad dinosaurs I’ve found, I’d like to get a bit of perspective on things. 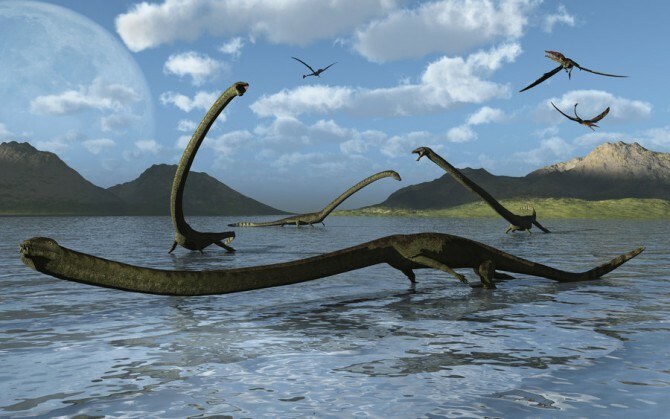 It’s tempting to imagine that dinosaurs were some odd evolutionary hiccup that came and went in the blink of an eye. Nothing could be farther from the truth. Us modern humans have existed for about 60,000 years, and more primitive human species have been around since about 4 million years ago. 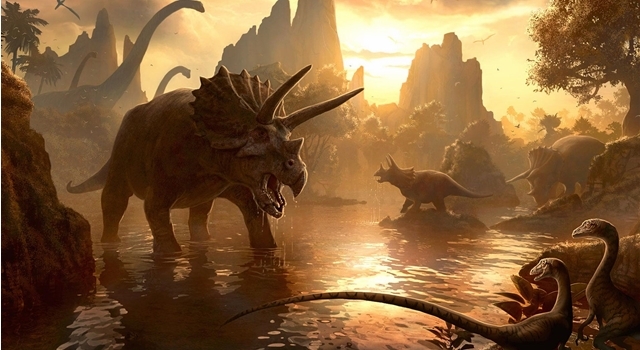 That sounds like a while, but dinosaurs ruled the earth for 160 million years. So their time on the planet lasted 40 times longer than our session. So it’s no surprise that some freaks developed among the ranks. OK. On with the weird beasts……….. The truth is we’ll never really know what colour he was. Not unless there’s some pretty cool scientific advancement in the future anyway. But I bet you one hundred bucks he didn’t look anything like that. 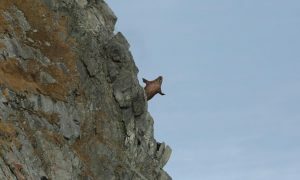 They reckon the claws were probably for scrambling about in trees finding lunch, or to attract females. Again, we’ll never know for sure. 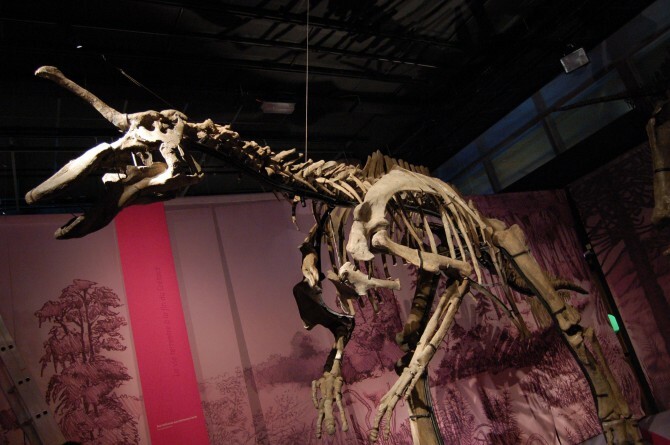 Tanystropheus was about 20 feet long, but about half of that was neck. His back feet were webbed and he probably used his freakishly long neck to fish, possibly dragging it in the water from the bank like a fishing line. Fossils have been found in China, the Middle East and Europe so he must have been a pretty successful species. When he got drunk he was in danger of literally tripping over his own head. He’s kind of like an ancient Mr Tickle, except a long neck rather than arms. What would you prefer? Long arms or long neck? 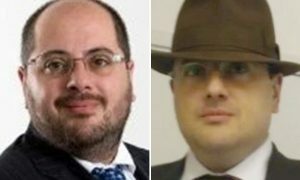 I’ll go with neither thanks, they both look pretty inconvenient. 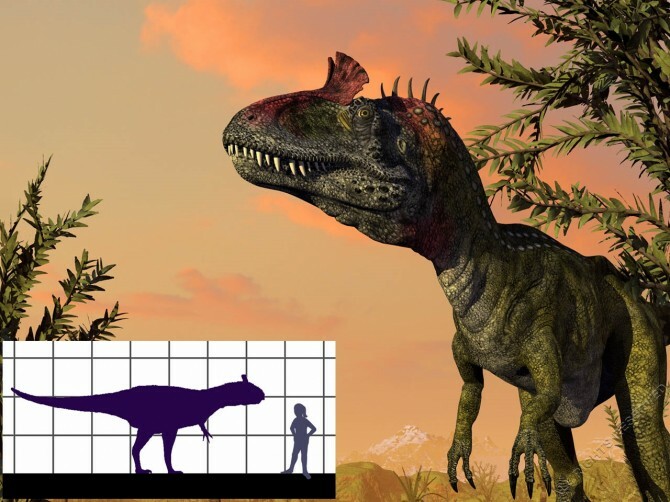 All the dinosaurs used to mock T Rex (from a distance of course) for his stupidly short arms. That was until this freak joined the class about 70 million years ago. He’s sporting two of the most ridiculously short arms in the universe and two triangular horns on his head. He was about 25 feet long and weighed about a ton. 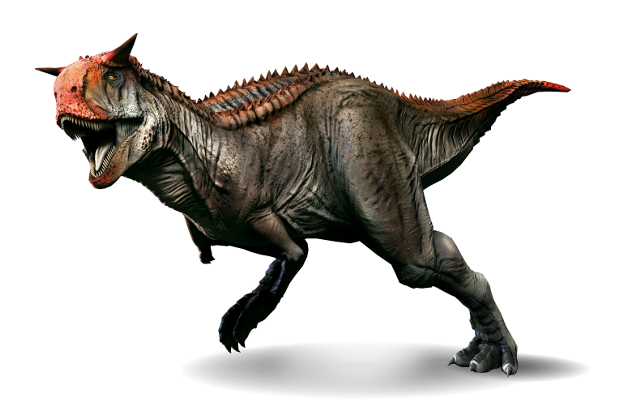 Carnotaurus has a particularly long, straight and muscular tail so he was probably a pretty nippy runner, possibly an attempt to make up for his other shortcomings. His name means man-eating-bull and I’d certainly only poke fun behind his back. His jaw suggests that his bite wasn’t particularly hard, but it sure was fast; perfect for catching smaller meals. 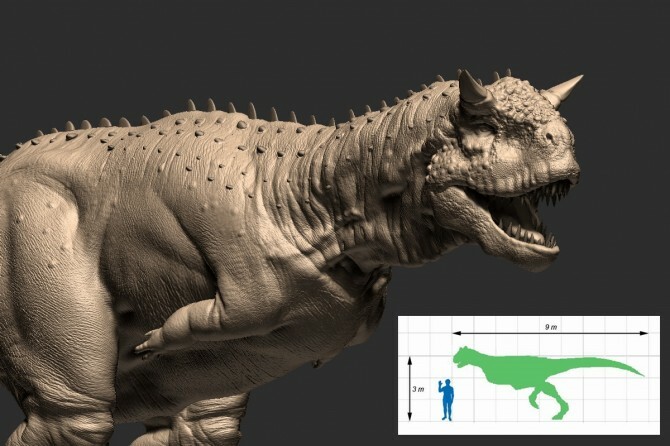 Having studied the arms and hands of Carnotaurus, modern paleontologists reckon they may have been completely functionless like in the modern emu and kiwi i.e. not even movable. The name means crocodile mimic which makes sense, he hung about in northern Africa about 110 million years ago. This bad boy was around 35 feet long and weighed in at 5 tons. He probs ate meat and fish by the looks of him. His long snout has backward facing teeth, his arms are disproportionately long and he has a weird ridge on his back. He’s not exactly a looker. He was however a powerful mother and would have smashed you to bits for laughing at his back fringe. 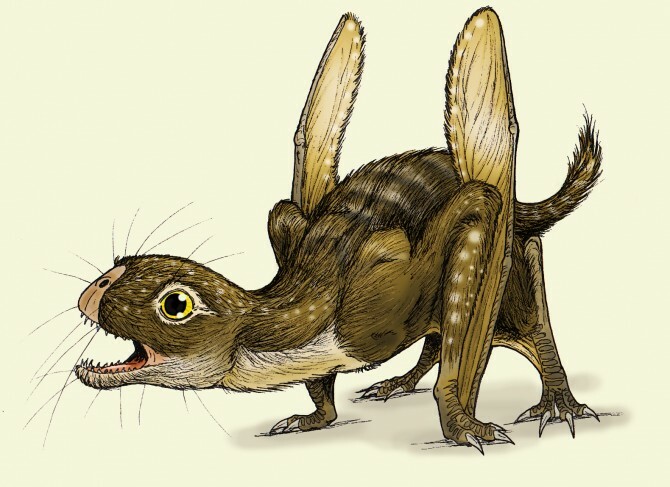 This ancient weirdo lived in Asia around 150 million years ago and probably ate insects. His wing span was about 3 feet across and he only weighed 5-10 pounds. What makes this guy odd is his big blunt cat-like head and prominent fangs and claws. 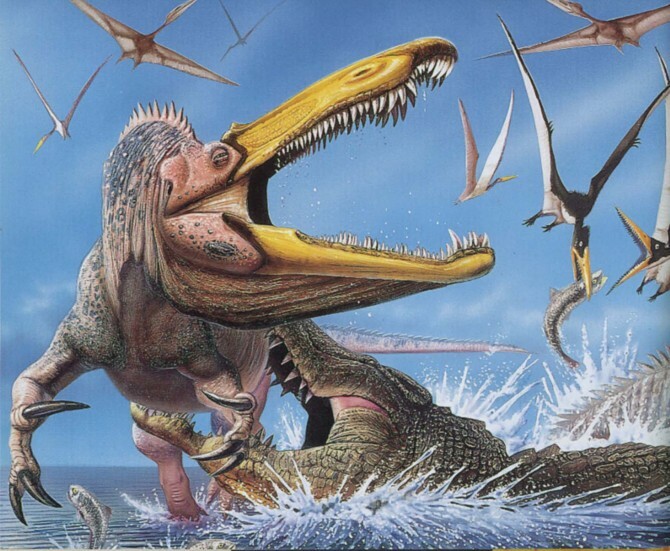 One paleontologist called David Peters hypothesises that the claws were for grabbing onto larger dinosaurs and sucking their blood, like modern day vampire bats. Pretty cool, huh? Having said that, not everyone agrees with the vampire theory that Peters has put forward. 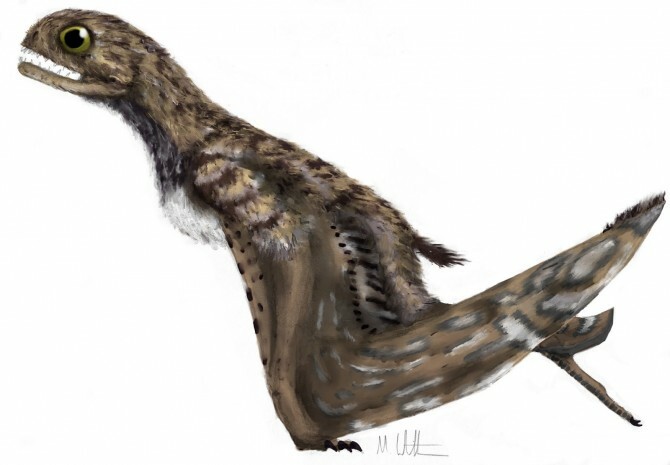 Prominent pterosaur researcher Chris Bennett has described Peters’ findings as “fantasy” and has vehemently denounced his methodology. I guess the vampire dinosaur thing is too cool not to be spread about by the internet. And as we all know the internet is 1% truth 99% balls and 23% errors. 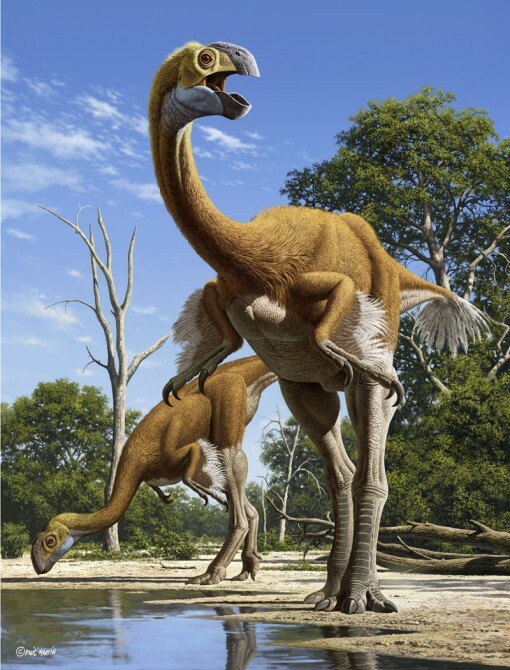 He makes it into my roll call of odd dinosaurs thanks to the jaunty sideways crest across the top of his head. No one knows why he had this strange hat, but it got him the nickname of ‘elvisosaurus’ which is nice. 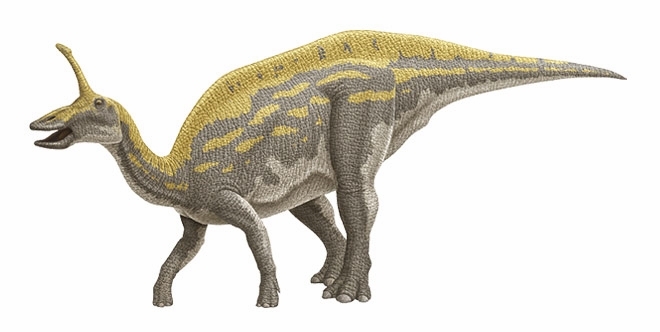 Why does Tsintaosaurus make it in to the group? : he looks like he has a willy on his head! LOL! THE END. Not only that though, he had a duck-like bill that was filled with teeth, so a pretty good all rounder as far as weird anatomy goes. But at 30 feet tall I won’t be making fun if I ever do meet one. 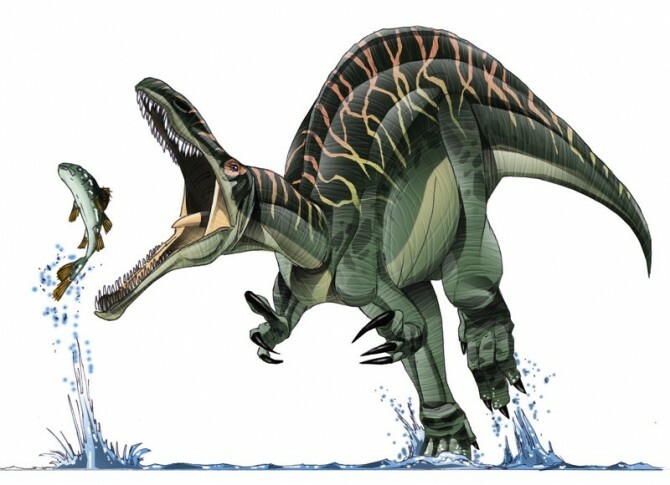 Last but not least, here’s gigantoraptor who’s name alone gives it a position in my list of awesome dinosaurs. 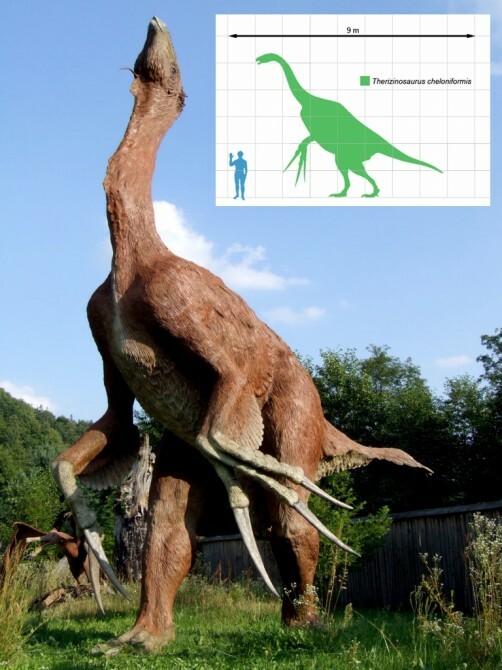 70 million years ago this feathered nutter lived in Mongolia and at 15 feet tall he’s the biggest feathered creature to have ever lived, even bigger than Big Bird off Sesame Street. 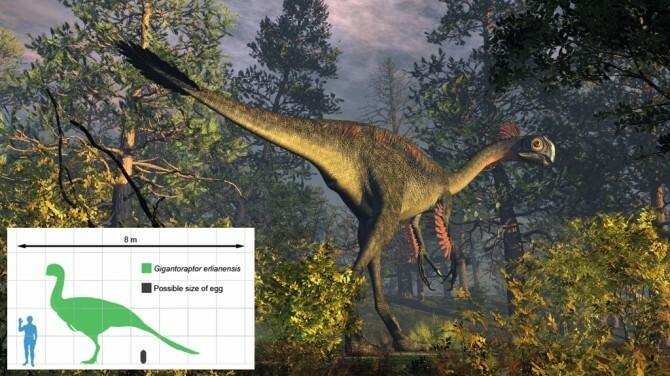 Gigantoraptor had a toothless bill, birdlike leg bones and weird ridges on its arms. No one knows what it ate itself, but if you roasted one up it could feed a family of 120 for about a month. And so concludes our Jurassic stroll. If you enjoyed it just 1% as much as me then you will have had an adequate time. And remember folks…. these things were real. Really real. â˜› Next: Are Birds Really That Stupid?